fills each year. This creates multiple environmental issues. The solution: White Coffee BioCup(TM). The BioCup(TM) is both compostable and biodegradable, with 90% degradation after 6 months. 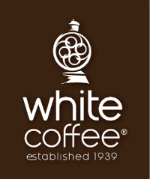 Combined with the best coffees that White Coffee has sold for over 75 years, BioCup(TM) provides superior quality in an environmentally friendly, convenient platform. Kahlua Coffee Liqueur combines the delicious notes of rum, vanilla and caramel wrapped in roasted coffee flavor from hand-picked Arabica beans. Our Kahlua Original, French Vanilla, Hazelnut, Mocha, Espresso Martini, Black Russian and Peppermint Mocha Coffees use 100% Arabica beans which are carefully washed, screened and prepared to ensure a bold lively flavor. Enjoy a truly unforgettable taste experience with this rich and smooth roast. 12oz & 1.75oz. For over 100 years, the Entenmann’s name has stood for the finest quality in baked goods. That same commitment now extends to Entenmann’s Coffee selections.Working with the finest coffee growers around the world, selecting only 100% Arabica beans and roasting them in small batches ensures consistent quality coffee with every roast. Packaged immediately after roasting to lock in freshness, these coffees were created to be the perfect compliment to Entenmann’s baked goods or savored on their own any time of day. 10oz. 1.75 oz. Available in 24 oz & 32 oz. For over 100 years the Entenmann’s name has stood for the finest quality in baked goods. That same commitment now extends to Entenmann’s Hot Chocolate. Using the finest ingredients, our creamy smooth hot chocolate is the perfect complement to Entenmann’s baked goods or savored on its own any time of the day.